Still Room to Compete? - Chris Malta. Well, “competition” is a big and scary word. Not big meaning ‘long-big’. A ‘long-big’ word would be something like Pneumonoultramicroscopicsilicavolcanoconiosis. Now that's a long-big word! No, the word “competition” is different. It’s “big” meaning all-encompassing; a generalization. Most people don’t really understand what “competition” actually IS. Google, bless it’s googly little algorithmic heart, defines the word as “the person or people with whom one is competing, especially in a commercial or sporting arena; the opposition.” Here’s the important part: “The person or people with whom one is competing”. And only those people. Because online business and the internet itself seem to be so big and all-encompassing, people often forget that internet users do not see the entire internet all at the same time when they search for something online. Yet that’s what they base this fear of competition on; that somebody searching for a set of dog socks on Google can somehow magically see every single store, every single page and every single price for every single pair of dog socks on the internet all at the same time! The reality is very different. When you search for a product on Google (and we always talk about Google because it’s by far the biggest and most influential search engine) what do you see? You see some “display ads” up in the top right corner. Those are the paid advertisements with pictures. Then the first 4 search results you see are paid ads as well (you can tell because they all say “AD” next to them). Then you see the natural listings; the pages that for whatever reason, deserved or not (but usually not deserved), have worked their way up to the top natural rankings in Google. Here’s a little-known factoid for ya. The human eye can “subitize” (meaning “perceive a number of separate items in a group without actually counting”) only about 4 to 5 separate objects at a time. A single paid ad link on a SERP (a search engine results page) is perceived as a single OBJECT. A single NATURAL page link on a SERP is perceived as a single OBJECT. So people CANNOT effectively see THE ENTIRE INTERNET AND EVERY SET OF DOG SOCKS ON IT ALL AT ONCE. They can only EFFECTIVELY see 4 or 5 objects at a time. That just begs the question…does 4 or 5 search results sound like a LOT of online business competition to you? I’m guessing that you’re thinking, “no”. Now, here’s the kicker. Add to that the fact that the search results that people see first are psychologically interpreted as the most important and relevant results, and that vast macro-cosmos of millions of perceived competitors that so many people are afraid of has just shrunk to a number of competitors that you can count on one hand. Now, if that's scary, you shouldn't even think about starting an online business (because it’s NOT scary, and if you think it is, well…you get the point). Let’s throw yet another fact into the mix. People will always favor natural search engine results over paid ads. In fact, the search engine listings that gather the most clicks by far, are the first 3 natural listings (the ones that are highest on the page, but are not ads). Natural result #1 for any given search online gets about 40% of all clicks. Natural result #2 gets about 18 to 20% of all clicks. Natural result #3 gets about 8 to 10% of all clicks. So there you have it. Nearly 70% of all clicks on a search engine results page are done on the top 3 natural results. Your competition just shrunk some more. Feeling better about it? You should be feeling a LOT better about it. SO WHY DO SO MANY PEOPLE FEAR “HUGE” COMPETITION LEVELS? Well, to answer that question we have to discuss that bane of our existence; the fly in the ointment, the monkey in the wrench, the hair in our soup…the online business "marketers". 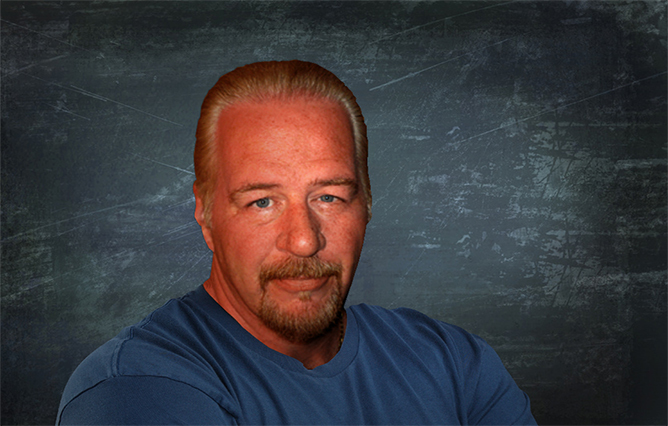 These fake gurus spend a lot of time whipping up a false frenzy about massive online competition that ONLY their Super-Secret Systems And Tools Made From Unicorn Dust And Sunshine can ever break through. They tell you over and over and over and over and over again that the only way you will ever be found among the millions of other sets of competing dog socks online that people somehow magically see all at once is to use their Amazing Systems. They tell you (eventually, over time, so as not to sticker-shock you) that you’ll need to pay them tens of thousands of dollars to create your site, run your SEO (Search Engine Optimization) handle your blog, your social media, etc, etc., ad infinitum, ad nauseum. When you pay them for all that, what they’re REALLY doing is spending about seven and a half minutes copying a basic template and calling it a site, and then installing some useless ‘automated marketing tool’ (which never works) to do the rest. For tens of thousands of dollars. TENS OF THOUSANDS OF DOLLARS. Utterly, completely and unequivocally (defined as “In a way that leaves no doubt”) disgusting people, these fake gurus. So we've established that your only real competition are basically the top three listings on a search engine page that are natural, and not paid ads. The false fear that there's too much competition online should now be long-gone in your rear-view mirror. Want to learn how to put YOUR business into those top three pages? 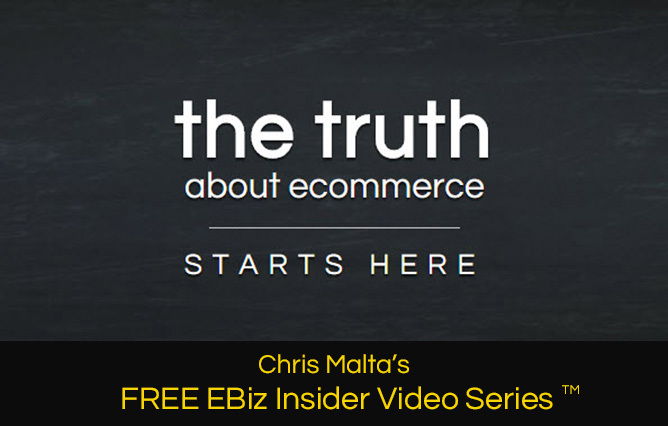 Check out my FREE EBiz Insider Video Series.